There’re a lot of gift guides out this time of year, so you may ask what makes ours special? Well, we’ve chosen 48 gifts that we’d actually be thrilled to receive in real life (yes, even the men’s items). So whether you’re agonizing over the perfect present that will make your dear mum smile or the gift that will get your boss’ nod of approval, we think you just might find it in this guide. Scroll down to start checking everyone off your list! 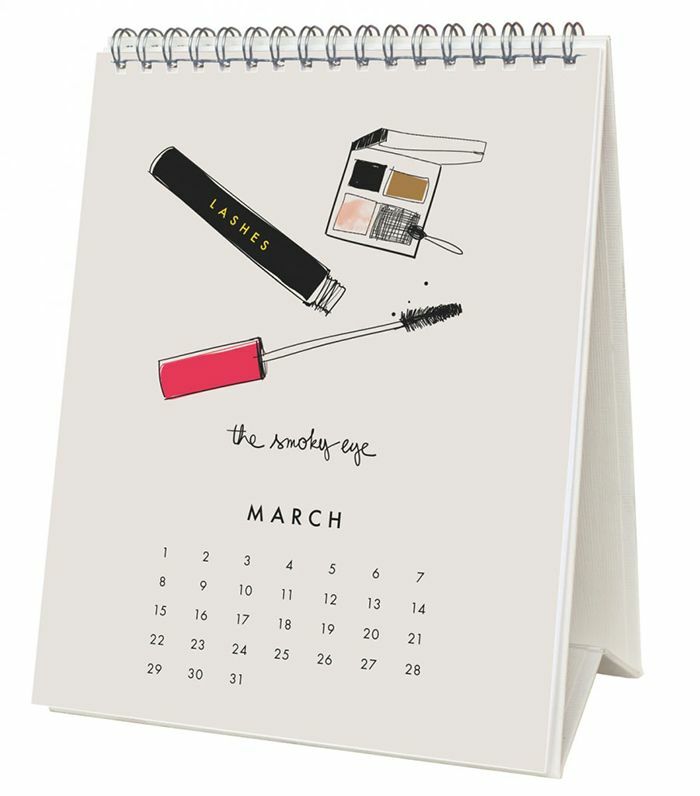 Help your best gal pal feel extra stylish when she’s scheduling all her 2015 plans with you. Because drinking your iced coffee out of a mason jar is more fun—it just is. Snowflake socks are the gift that keep on giving. A polka-dot calf-hair phone case is a compliment just waiting to happen. Proof that bigger is not always better, and that lacy lingerie is the best present ever. When it gets down to the nuts and bolts of gift-giving, these earrings are a top-notch pick. Having modern, stylish stationery on hand will be her new favourite thing, thanks to this gorgeous set. Help her relax and rejuvenate after the holidays with an at-home facial. She’ll feel like a seasoned traveller with this silk scarf in tow. A designer hat she’ll wear for probably the next decade—not bad, not bad at all. Perfect for a stylishly cosy Christmas morning! From the tortoise-shell to the ultra-cool frame to the lifetime warranty, these sunglasses are a no-brainer. Update the man in your life’s sock drawer with this stylish pair from Stance. Most guys appreciate any sort of addition to their bar, so this sleek utensil that transfers alcohol to a flask is a no-brainer. Make sure your guy is jet-set-ready with a convenient travel kit. The weighted knot detail helps this charging cable stay in one place when plugging in and unplugging your phone. In other words: Never go fishing for a charging cord again! There’s no reason for your man to catch a cold this winter because this cosy, neutral beanie will match everything he owns. These polished bottle openers are sure to impress his friends. Add to his cold-weather wardrobe with this masculine navy and black scarf. Know an ambitious guy? Get him this book, which offers advice to people who run or want to run a company. Plus, it’ll look great on his coffee table. His friends will totally envy the fact that he owns these hard-to-find Nike Blazer sneakers, which originally debuted in 1973. A sleek, elegant bike in a masculine hue is perfect for his daily commute. Make sure your man is the best-dressed guy on the block with this covetable jacket. Hey, a guy can never have too many ties, right? Swap out his silk tie with this seasonally appropriate wool version. We’re in love with the simple designs and colours on this chic stationery set. Take your colleague’s coffee-drinking game to the next level with this metallic tumbler. Seriously, have you ever seen a tape dispenser this pretty? The intertwining glittery snakes on this journal would make us want to write in it every single day. Whether water, wine, or whiskey is your colleague’s drink of choice, these minimalistic carafes make for a great container. Gone are the days of using your coffee cup to hold your writing utensils. We prefer this stylish one plated in bronze. If you’re working with someone who is completely obsessed with beauty products, this glittery (but stylish) set is a perfect idea. There’s something subtly menacing about a black candle—in the best possible way. A set of books is great—unless your boss already has an entire library in her office. These cool, modern bookends would make an awesome addition to her shelf. The marble treatment of this tray makes it an awesome addition to just about any kind of office décor. This set is functional and looks cool—perfect for the dad who appreciates a drink after a long day. This clip’s a great option for harnessing the usual wad of crumpled bills in dad’s pocket. This sleek yet masculine set is a big step up from dad’s typical drugstore shaving wares. This sustainably harvested and organic soap is intended for everyday hand-washing, but it can also be used as an all-purpose camping soap, making it a foolproof present for both the rugged or relaxed father. Even if your pops isn’t a gin enthusiast, this awesome homemade gin kit is sure to convert him. Textured leather with a subtle print gives this cardholder a particularly luxe feel. Have a dad who always seems to misplace his keys? Or a dad who likes staying organised? This stylish valet tray is perfect for both types. This classic, elegant weekender is designed to perfectly fit into any overhead compartment. Book your dad a Trumaker fitting, and he’ll get to meet with one of their outfitters, who will measure him and coach him through the various shirt styles. From then on, he’ll be able to order any shirt on the site, custom-made to his specific measurements and taste! A lighter can be enjoyed by all types of dads, whether he uses it to enjoy his favourite cigar or light his woodsy candles. Stylish dads will love these unique shades. We love the idea of gifting top-of-the-line headphones to the dad who frequently travels. We can think of about a million uses for this gorgeous horn scoop. Get this sweet pin engraved with your mum’s name. Fact: Succulents make great gifts, especially when they come packed in a darling copper planter. Have a mum that gardens? This tool set was made for her. Present this architectural opener with a bottle of her favourite cider. Warning: Your mum may never take these slippers off. So much chicer than a match box, no? Why not have a tea tasting with your mum featuring these tea and honey pairings? Your mum is sure to love this classic bracelet featuring her initial. We’re obsessed with this stylish iPad case, and we have the feeling your tech-savvy mum will be too. Is your mum a book snob? Don’t worry, this set has nothing but the classics, darling. What's the best gift you've ever received? Let us know in the comments below!